I know the weather feels like the middle of the jump season but the flat season is at last fully under way. The Gallop team are off to a flying start and despite the fact last week we had 3 seconds all horses are running well and look promising for the rest of the season. Jacbequick ran a good race at Beverley, coming second to Trading Point, in the capable hands of young Zak Wheatley on his first ride for Gallop. Zak works for David and is a popular part of the team at Willow farm and Gallop is looking forward to giving him rides in the future. Jac will hopefully come on for the run and future possible race dates are: May 7th (Beverley), May 8th (Thirsk), May 11th (Chester) and May 16th (York). It was great to see so many Gallopers out on Saturday at Ripon to see Al Qahwa and Billy Dylan run two cracking races. Finally Al Qahwa dodged the abandoned race meetings and managed to get his first run of the season on ground he loves. He was very fresh in the paddock so taking a ticket to go in the stalls last seemed like a good decision. He ran a great race and despite keeping on well came second by 1/2 a length to Gin In The Inn. Thoughts afterwards were that Ripon probably isn’t his track as it is probably a bit quick for him. 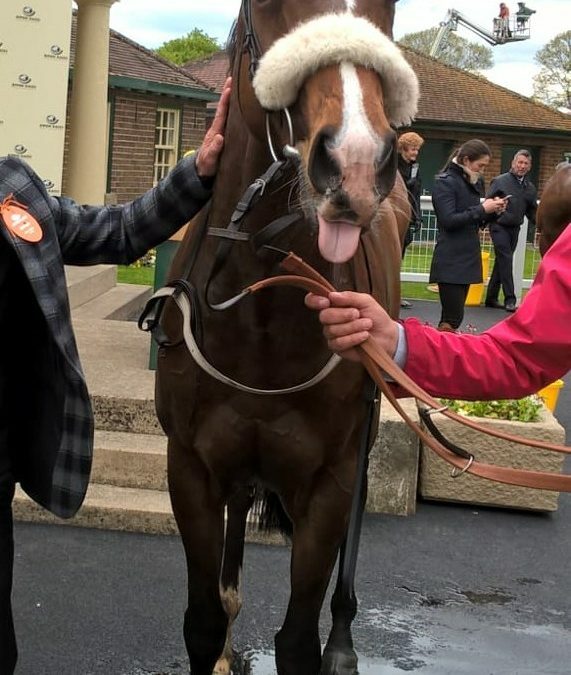 Next stop will be York on May 16th where if the ground suits, hopes are for a repeat of last year’s success although not for the singing in the bar!!! 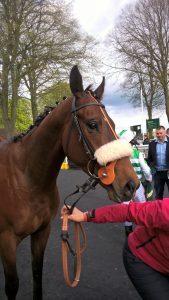 Billy Dylan was unlucky in running at Thirsk and Danny Tudhope came back with the positive feedback of “he will be alright with a clear run”. 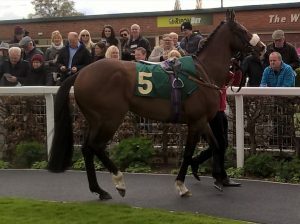 He definitely came on for his run at Thirsk and looked a picture in the paddock at Ripon. He also had a great run but again Ripon probably isn’t his track as he didn’t like the dip and thoughts are to running him around a bend in the future. He was again unlucky in running losing a shoe on the track which didn’t help his cause. Future possible race dates are: May 18th (York), May 24th (Catterick) and June 16th (Chester). 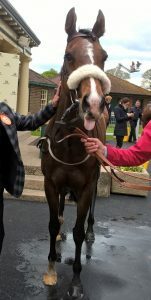 Firmament travelled well in both his races on ground that he probably would not have liked and Shelley reported that he gave her a much better feel at Haydock suggesting he had come on for the run. Future possible race dates are: May 12th (Ascot) or if the ground isn’t right at Ascot May 17th (York). May 26th (York), June 1st (Epsom), June 20th (Royal Ascot). 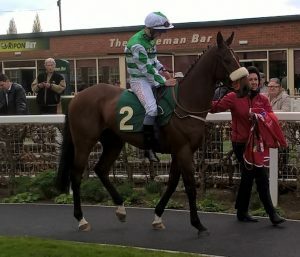 Ma Fee Heela made a promising debut at Thirsk the other week. Despite being slowly away he made up ground mid race and Sam James spoke very enthusiastically afterwards. He looks primed for a good run next time. He will run at either Doncaster (May 5th) or Hamilton (May 6th) this weekend. Me Before You despite missing some work at home stayed on promisingly at Thirsk on Monday and is sure to have come on for the run. Previously she has been a bit too lit up at the races and it was pleasing to see her more settled. Entered May 4th at Newcastle. Muscika had an excellent run at Thirsk considering his poor draw in stall 2 resulting in him not getting the cover he needs. He looks like he has matured well from a 3 to 4 year old and although he finished 7th he was only beaten by 2 lengths. Future dates being considered.